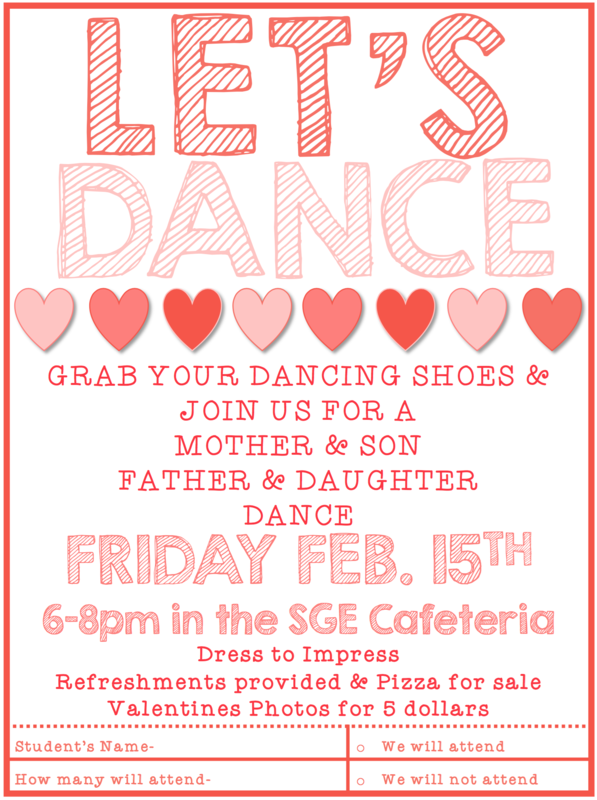 Join us for a Mother & Son and Father & Daughter dance on Friday, February 15th from 6 pm - 8pm! Refreshments provided and pizza will be for sale. There will also be a photo booth. Don't forget to dress to impress and bring your dancing shoes!